Things are heating up in this cold weather, as SuperPhillip Central prepares itself for its 450th review. That's coming this Friday, but in the meantime, here's a game from a series that needs no introduction. However, we feel the need to introduce the series anyway-- it's The Legend of Zelda. The new game in the series was released in North America last Friday. Here's the SPC review. For a while now, The Legend of Zelda series has received a lot of criticism. 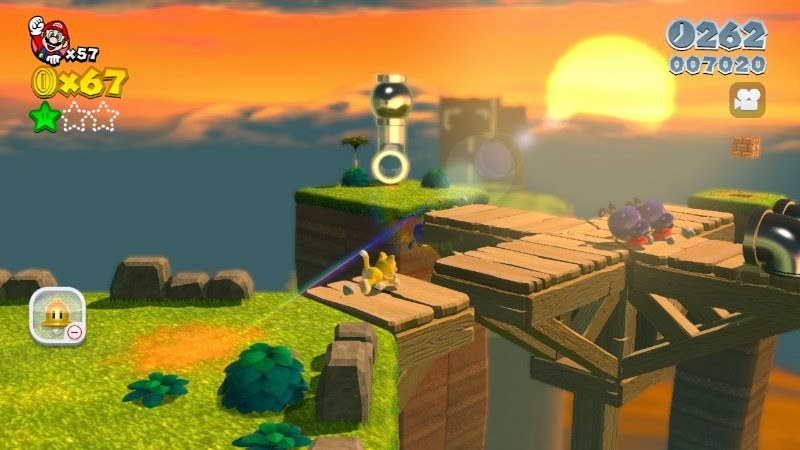 Many have become tired of the inflated beginnings and tutorials the more recent games possess, as well as the excessive hand-holding. 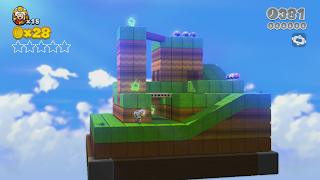 It seems the team behind the latest Zelda entry, A Link Between Worlds, has come up with a solution to make the series not come across as making the player feel like their intelligence is being insulted while still being able to be accessible to newcomers. The end result isn't just one of the best Zelda experiences ever-- it's one of the best games I've played in a long time. the skills or items to stop Yuga just yet. 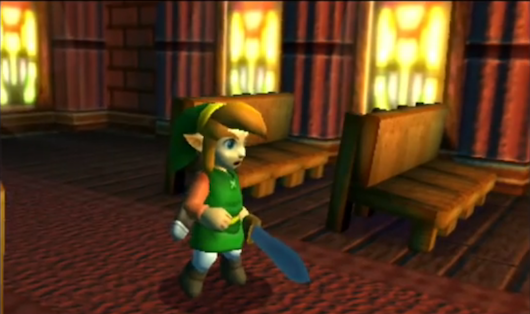 The game starts out similarly enough, too, with Link being awakened from his slumber. Sure, it's not a dark, storming, and otherwise foreboding night, but A Link Between Worlds' version of the Hero of Hyrule has an epic journey ahead of him regardless. Serving as the local blacksmith's apprentice, Link is tasked with taking a sword to a Hyrule Castle captain who is at the Sanctuary. When Link arrives, he finds the captain turned into a painting and then the minister transformed into an objet d'art as well. The person responsible for this is a Gerudo named Yuga, who wishes to capture the Seven Sages for some truly sinister plan. Link somehow survives the initial meeting between the two and is then asked to acquire three pendants from three dungeons around Hyrule. Only then will he be able to pull the Master Sword out from the Lost Woods and defeat Yuga and stop his plan. Princess Zelda in all her royal glory. One thing that is so fantastic about A Link Between Worlds is how the plot never lingers for too long. 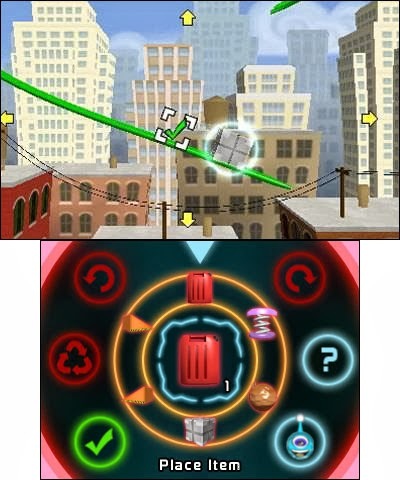 Recent games in the series have had drawn out expositions and plot points. From the first dungeon to the last, the story in A Link Between Worlds seldom gets in the way of the player just playing the game, exploring Hyrule and its alternate realm. 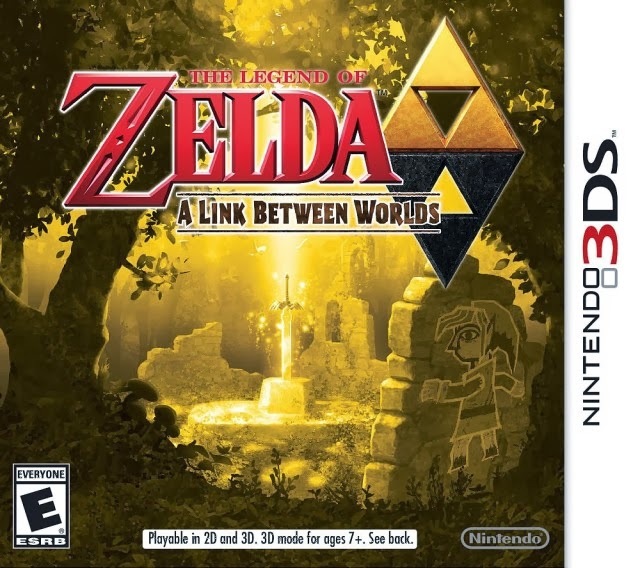 The Legend of Zelda: A Link Between Worlds is set in the same world as A Link to the Past, one of my favorite games of all time. 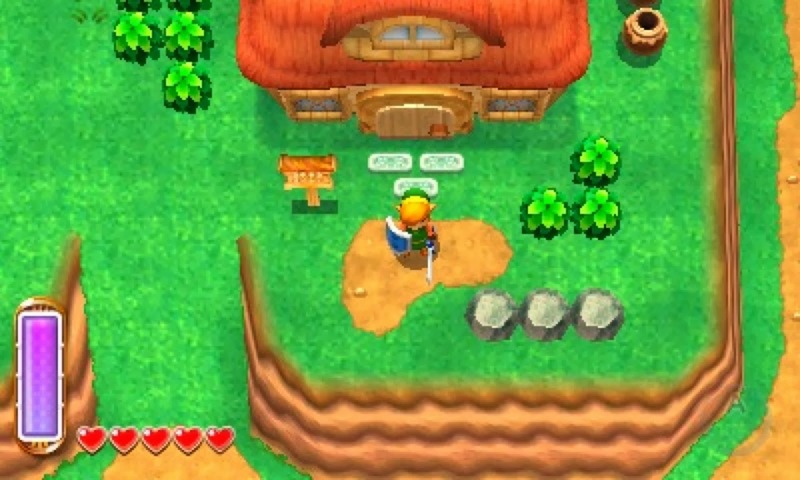 However, despite being in the same world, A Link Between Worlds' Hyrule features various geographical changes compared to A Link to the Past, as the game is set several generations after the events of the SNES classic. in A Link Between Worlds. 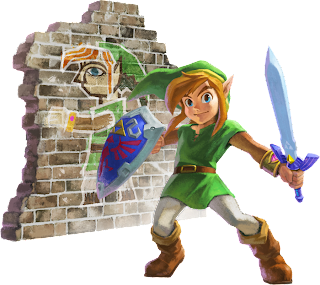 Something that gives A Link to the Past veterans a new perspective on Hyrule is the ability that Link earns early within the game to merge into a wall, becoming a painting in the process, able to freely move along walls from left-to-right. That is if there's no rocks or other obstacles along the wall to block his progress. 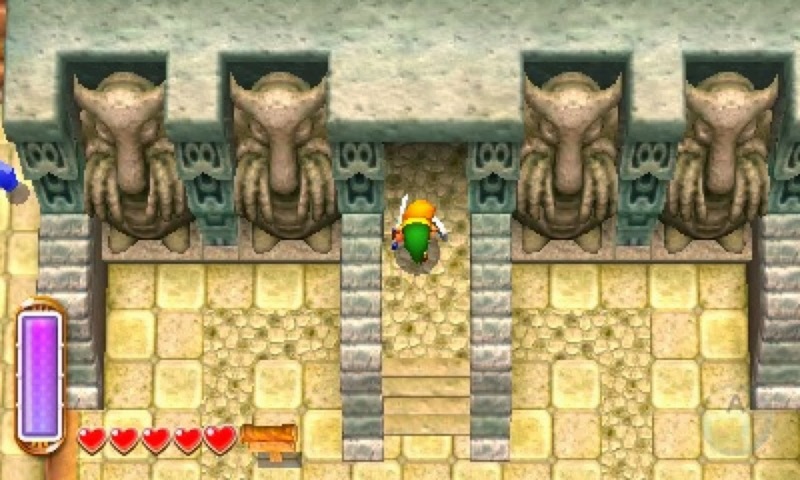 An early example of this has Link at the Tower of Hera, standing on a moving platform floating high over the abyss below. As the platform moves towards a protruding block that Link can't possibly get around, Link can merge with the block, move around to the other side, and transform out of painting form right back onto the moving platform. 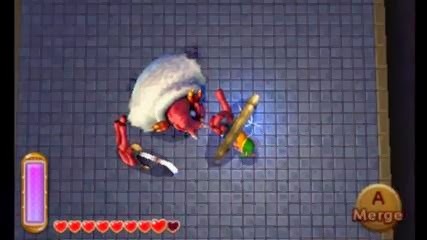 This wall merge ability is used throughout the game in some ingenious ways, and it's without a doubt my favorite mechanic in a Zelda game. Period. It's a gift that developers of A Link Between Worlds keeps on giving. "Don't mind me! Just skimming through!" The merge ability also serves a story-related purpose-- it allows Link to move to and from Lorule, a parallel world to Hyrule that has many geographical similarities to Hyrule. Think of it as A Link Between Worlds' Dark World. This is done through entering small, illuminated cracks all around Hyrule. 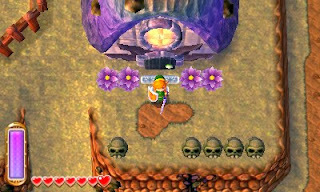 Link will have to discover as many as possible, because unlike Hyrule, Lorule is split up in between large, segmented areas. This makes taking a saunter from corner of Lorule to another impossible. 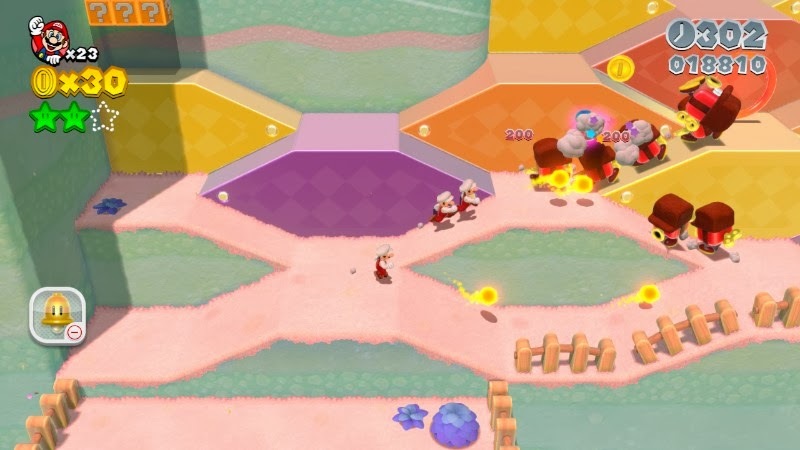 Lorule is where the latter dungeons of the game take place, and it's certainly no friendly neighborhood, as enemies take off multiple hearts per hit! structural similarities with one another. One of my issues (along with a lot of other people) with Twilight Princess on Wii and GameCube was that you always seemed to come across treasure chests-- some of which were hard to reach-- only to open it up and find more rupees, the currency of the Zelda series. 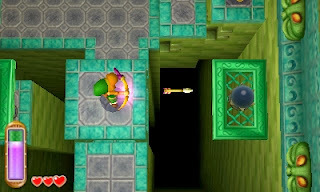 All too often Link would be carrying the maximum amount of rupees allowed, requiring him to return them to the treasure chest. All that work for naught! Curses, game! However, A Link Between Worlds makes rupees more important than ever before. Early in the game Link comes across a mysterious, masked traveling salesman named Ravio who strangely sets up shop in Link's house. For a price, Ravio will rent out the majority of his item collection. We're talking about A Link to the Past mainstays like the Boomerang, Bow, Bombs, the Hookshot, Hammer, as well as the Fire and Ice Rods. The catch here is that if Link perishes in combat, all of his rented items are taken away and Link must pay the rental fee all over again. As this game is rather challenging, especially in the second half, losing Link's goods can absolutely happen. 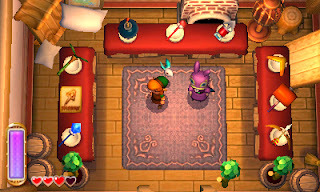 Eventually Link will be able to permanently add the various items in Ravio's shop to his arsenal (although for a higher price). This means items can be used with total freedom-- that's because they all share a stamina gauge when used, which refills little by little, so no more breaking pots and slicing up bushes for spare arrows and bombs. Instead, using an item uses up a small amount of Link's stamina gauge. Tornado and Sand Rods join the lineup. If there's a common theme of A Link Between Worlds, then has to be freedom. 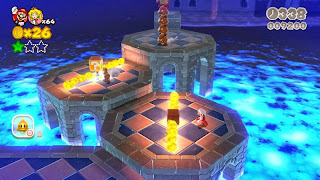 The majority of the dungeons in the game can be played in any order. This relates more to Link's trips to Lorule, but as long as Link has the right item, he can access a given dungeon. 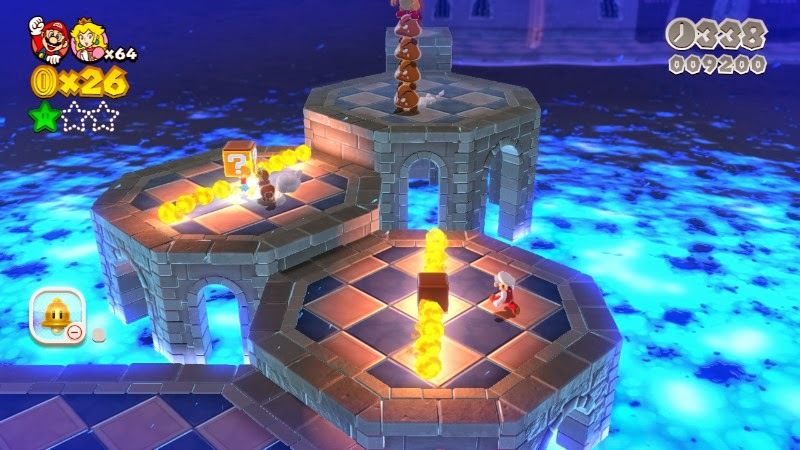 The player will know right away whether they have the right item, as there's a roadblock in front of the entrance that only that dungeon's necessary item will allow the player to pass through it. The fact of the matter is that I haven't felt this much freedom in a Zelda game since the NES original. However, with this iteration of the series I'm not lost like an idiot, trying to burn random bushes hoping for a dungeon entrance. 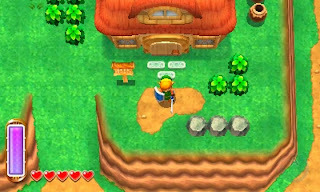 Both Hyrule and Lorule are grand places that rarely feel like chores to backtrack through. I didn't at once mind going from one end of Hyrule to the other. 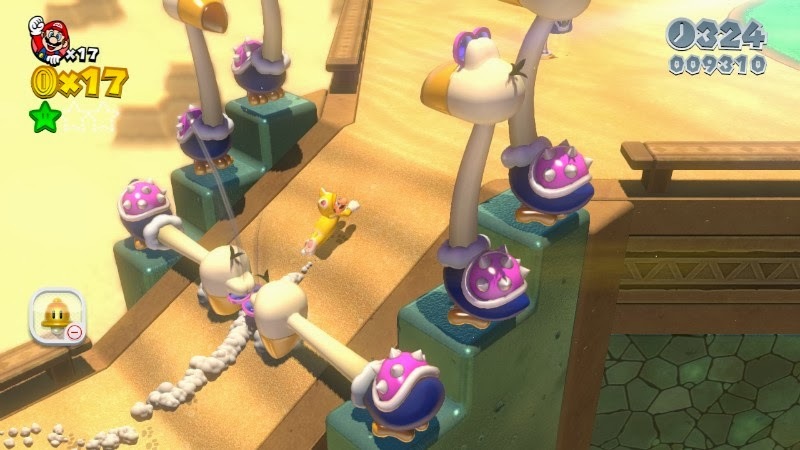 Even if I did, the various bird statues the game has serve as quick travel destinations, as well as save points. 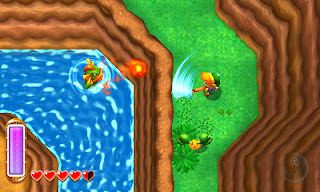 Through coming across an aquatic-based character in the game, Link obtains a side quest to return a mother's school of Maiamai children. These children are hidden all throughout Hyrule and Lorule. Thankfully, you get a map that displays how many children are left to collect in each area (there are 100 Maiamai total), and they all make a crying sound when Link is nearby them. 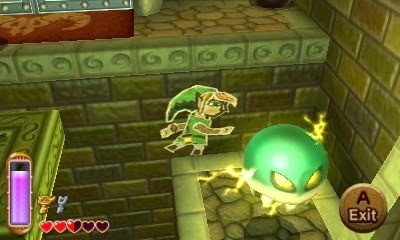 After every ten Maiamai are returned to the mother, she will upgrade one of Link's items. 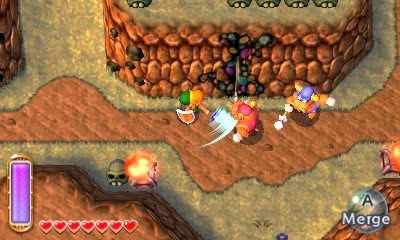 For example, an upgraded Bow can shoot out three arrows in different directions in one shot. These upgrades are especially helpful for the dungeons and hordes of monsters inside that Link has to face off against. 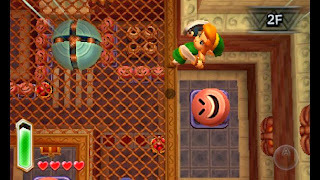 Dungeons in A Link Between Worlds are briefer escapades than what is found in A Link to the Past. However, that doesn't mean they're any less spectacular. While one might think each dungeon would be easy as all of the puzzles focus on one item, that isn't really the case. 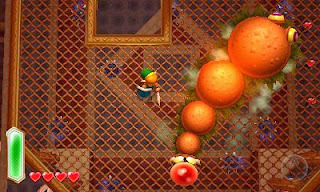 Each dungeon constantly throws in new ways to expand upon each item's numerous uses, forcing the player to think critically. 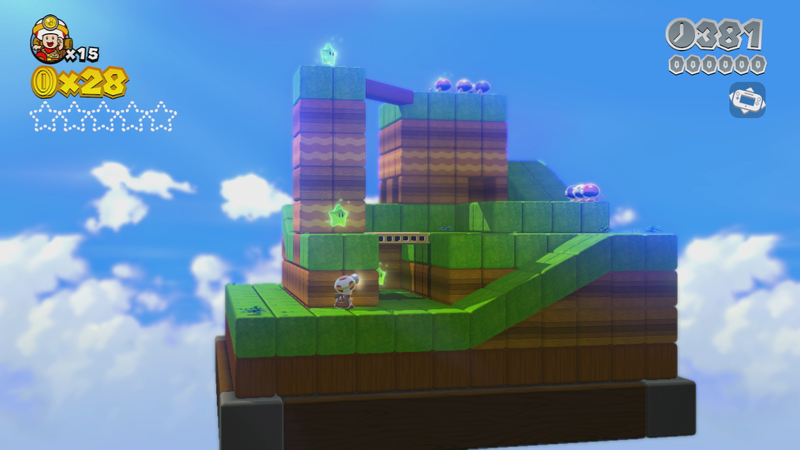 For instance, a seesaw in Turtle Rock will go up and down depending on what side Link is standing on. This makes getting to higher up platforms impossible, since the seesaw side that Link is on always goes down. However, with the Ice Rod, Link can freeze the seesaw in place, allowing him access to otherwise inaccessible platforms. Gone is the urge or need to acquire a map for each dungeon. However, the Compass is still a part of every labyrinth Link explores. It reveals all of the treasure chest locations, making clearing out each dungeon's hidden stashes less annoying. There's also still a Big Key to find, which opens the boss' domain, as well as a big treasure chest housing a rare item. Each of Lorule's dungeons possesses something to optionally collect, be it armor that increases Link's defense, raw materials to beef up the Master Sword, or gloves that enable Link to lift up heavy rocks. than its Link to the Part ancestor. The colossal encounters that conclude each dungeon in A Link Between Worlds just amazed me to no end. I always looked forward to these confrontations, and I always brought some spare faeries with me, as insurance because these bouts could be quite challenging! One boss requires you to merge with its shield, tricking the foe into directing its shield behind him. This allows Link to move out of it and strike the boss from behind. It's these devilishly designed boss fights and dungeons that are a testament to the mastery of the development team behind this game. Use this boss of thieves' shield against him! Outside of normal dungeons, A Link Between Worlds has several miniature dungeons that house silver and golden rupees, worth 100 and 300 respectively. These mini-dungeons have an overarching puzzle or challenge to solve using a specific item or pair of items. One of these places requires proficient use of the Pegasus Shoes to hit switches and speed around corners before an impenetrable gate rises up from the floor, blocking Link's progress and forcing him to start the room over. The Legend of Zelda: A Link Between Worlds and A Link to the Past can be beaten around the same amount of hours, especially if you're familiar with Hyrule already. However, both games are ones that demand to be replayed again and again, as they're absolute classics, one more modern than the other. 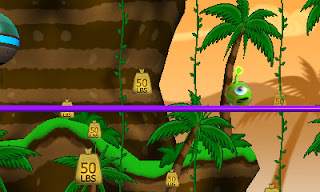 The tasks of collecting every Heart Container, Maiamai, and hidden item in the game is no easy task. 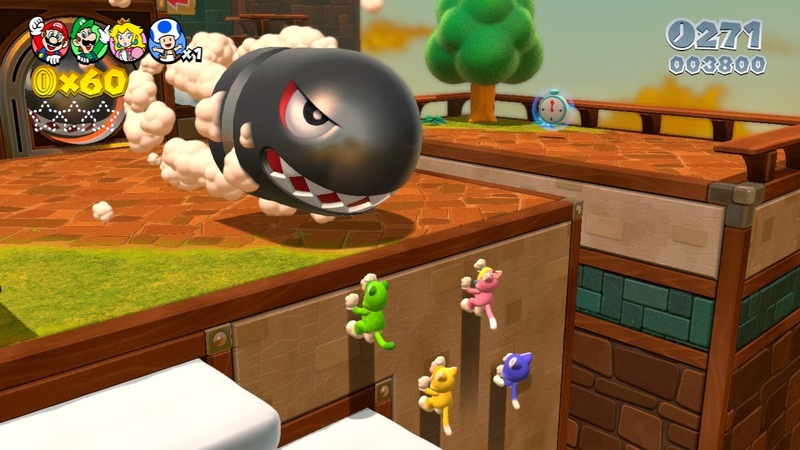 If the normal challenge of the game is deemed too trivial, then after beating the game you can try out Hero Mode, where damage received is multiplied by four. 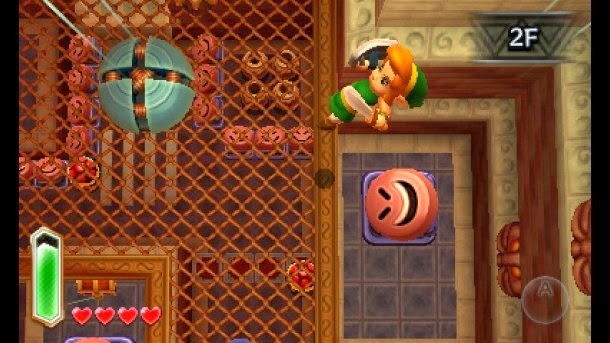 There is much discussion regarding the look A Link Between Worlds. Some find it ugly, while others like the nods to A Link to the Past. For me, it looks just fine. I don't see anything that makes me go "ew." 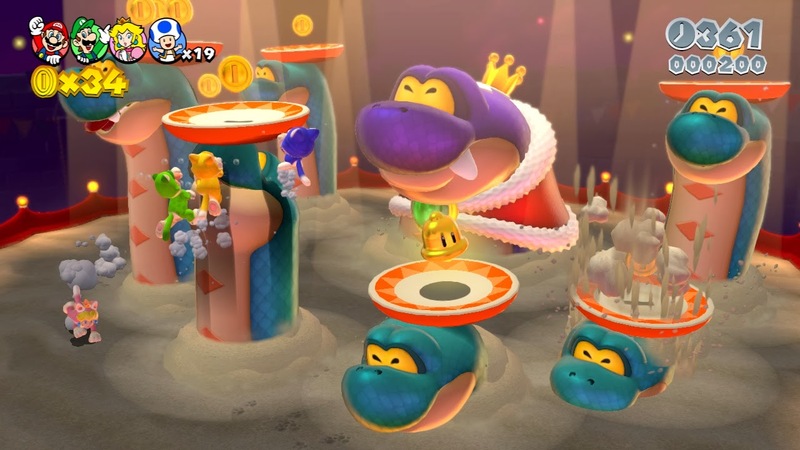 Characters may come across as being made from clay or plastic, but the whole look of the game is consistent. 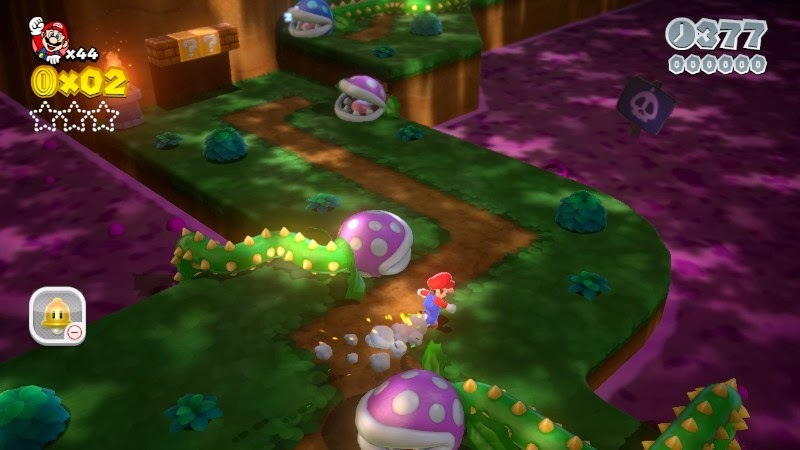 Outdoor and indoor areas look absolutely sublime, and the most phenomenal part of the presentation is how the development team managed to get the game running at 60 frames per second with 3D off AND on. It is legitimately hard for me to return to some older 3DS games now that I've experienced 60 FPS in 3D. Alongside the visuals comes many sounds and songs that will invoke plenty of nostalgic memories and feelings from A Link to the Past veterans. The orchestrated arrangements of classic themes from that amazing game are without a doubt brilliant, and the new compositions are no slouches either. is one of the 3DS system's best. The Legend of Zelda: A Link Between Worlds is what many have wanted from a Zelda game for the longest time. 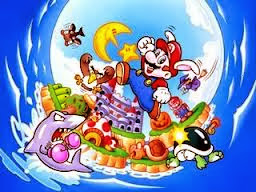 It doesn't treat the player as if they are stupid (although if you do get stuck, you can use a Play Coin to get a helpful hint), it doesn't hold their hand, it keeps the story to a minimum, and it offers an amount of freedom that hasn't been seen in the series since its first installment back in 1986. 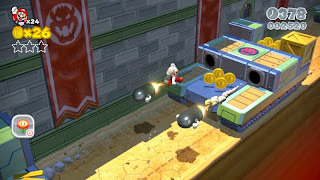 The wall merging mechanic is so astounding in its concept and execution, the dungeons, puzzles and bosses are amazing in their design, and the entire package feels so very familiar yet so very fresh to make it all come off as brand-new and exciting. 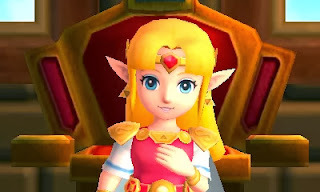 The Legend of Zelda: A Link Between Worlds is the sum of years of the Zelda development team experimenting with what works and doesn't work with the series, and with this game, they definitely found something that works, and works insanely well. We actually have two reviews planned for this evening. The first of which is a downloadable title from Big John Games, whose past work includes such games like Thorium Wars, Kart Krashers, and Coaster Creator 3D. 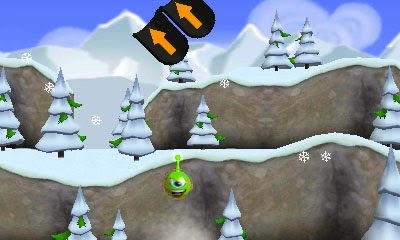 Their newest game is Ohno Odyssey, which released last week on the Nintendo 3DS eShop. Here's our review. "Oh, no" or "Oh, so good"? Mobile devices and tablets have made it perfectly clear that folks prefer the majority of games on these platforms to be quick gaming fixes. Many Nintendo 3DS eShop game developers have taken this philosophy of making short but sweet gaming experiences on the go for Nintendo's darling handheld. Big John Games has such a title on their hands with their latest offering, Ohno Odyssey. Do these Ohno creatures deserve to be rescued? The Ohno alien race travels on a spherical spaceship similar to a mini-Death Star-- well, without the pure evil and dark side of the Force. True to its name, an Ohno inadvertently knocks over a mug full of liquid, spilling it out onto a computer. This causes the ship to malfunction, sending 35 Ohno to the planet Earth below. It is your duty to guide each Ohno safely back to their escape pods. 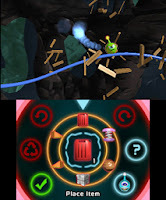 Ohno Odyssey is a physics-based puzzle game. You're tasked in each level with putting down a predetermined number of objects to lead your Ohno to its escape pod. Easier said than done, as each level is made up of rails, straight, curved, diagonal, and windy. There's also hazards in the form of bombs to avoid. There's a lot of trial-and-error to be found in Ohno Odyssey, and the game encourages you to experiment heavily. Thankfully, there is no consequence for having your Ohno fall off a given level (which it will do a lot). You simply select the return to editor option and have at it again. If at first you don't succeed and all that. The numerous objects in the game to assist you vary by level. Some levels have a set number of ramps you can use, metal boxes that will stop your Ohno's momentum, bumpers that bounce your Ohno the opposite direction it was traveling, springs that allow your Ohno on your command to leap over chasms, and much more. Of course, it wouldn't be very challenging if every object was available to you right at the beginning. Ohno Odyssey slowly introduces new objects to the player, and limits what they have to utilize in each level. 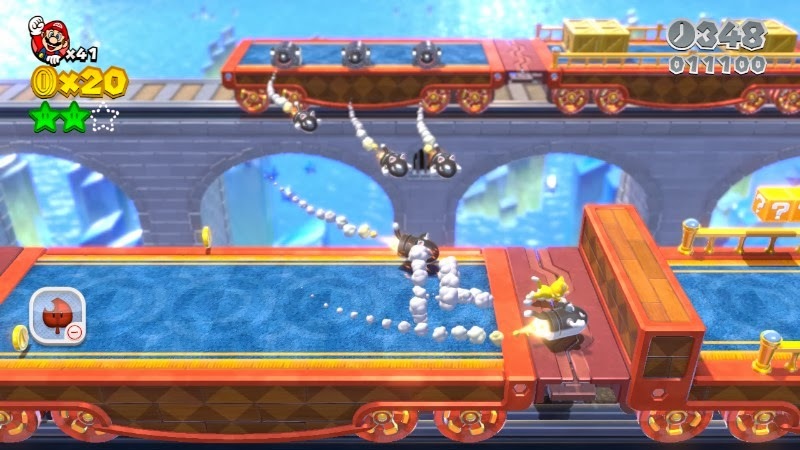 Some of the fun comes in seeing the different ways you can go about completing later, more complicated levels that offer various paths. It would have been nice to have seen some type of scoring setup based on time taken to reach the escape pod and even some collectibles thrown in for replay value. As it stands, the 35 levels of Ohno Odyssey mean that once you beat them, you probably won't have much of a reason to return to them. Ohno Odyssey isn't too particularly outstanding in its presentation. From the still-frame storyboard cutscene that sets the stage for the ensuing gameplay to the generic and repetitive music, to the sterile backgrounds, nothing about Ohno Odyssey is astounding. That's okay, however, as the game has the gameplay to back itself up. Just don't expect a feast for your eyes (Thanksgiving is tomorrow after all, so I had to use the word "feast" somewhere in this review...) and you won't find yourself disappointed. Overall, Ohno Odyssey fills a nice hole in the Nintendo 3DS' online library of titles. Its physics are really well done, allowing some enjoyment tooling around in each level. It is a perfect game for bite-size gaming sessions, relaxing gaming times, or full-fledged marathon sessions. 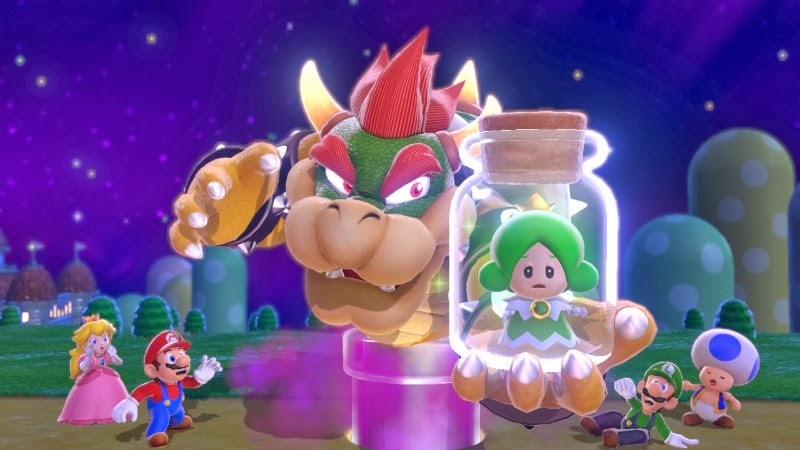 The game's brevity is a bit of a problem, and the presentation isn't the most amazing, but all in all Ohno Odyssey is a game you can say "oh, yes" to. Sales of the Wii U are at a historic low for any big time video game console manufacturer. We've really never seen a major console by one of the big three fail so spectacularly. Nintendo is hoping to turn its fortunes around with the release of Super Mario 3D World. However, in Japan, this did not work as of yet, with the game selling around 100,000 units and shifting a mere 20,000 or so Wii U consoles last week. This opinion piece isn't so much about the sales (which may become better, as Nintendo games tend to have legs) but rather than the reaction from certain "gamers" regarding the low numbers. Quite frankly, I just don't understand the mindset of people who are happy with a game as critically acclaimed as Super Mario 3D World not selling to its potential. Not just that people are happy, but people are reveling and are elated in Nintendo failing right now. For some it's like all those years when the Wii was outselling their system of choice made them especially bitter and angry with Nintendo, and now that it is doing poorly, they're enjoying it. (And don't even get me started on the "Wii was a fluke" nonsense.) Perhaps some are even wanting to see Nintendo do so bad that it will eventually leave the hardware space and go third-party. Then it's a matter of having all those "rehashes" and "remakes" being available for them to play on their favorite company's systems, despite fooling themselves that they didn't care or like Nintendo's games when they would have otherwise been forced to buy Nintendo hardware to play Nintendo software. It's not just console warrior-ism at work here, either. There are certain Nintendo fans who wish the company and its games to do so poorly that Nintendo will change its current course. Whether you agree or not that Nintendo needs to change, having Nintendo's flagship Wii U game for the holidays not do well sales-wise would most likely not send the right message to Nintendo. Then there are some that argue that Super Mario 3D World isn't ambitious, thus it doesn't deserve sales. I've seen someone go as far as to say that all 3D World added to the series was the Cat Suit. The willful ignorance here astounds me. Some state that Super Mario 3D World isn't deserving of sales because it's not as ambitious as, say, Super Mario 64. Well, Super Mario 64 was only one of the most revolutionary games of all time by being one of the first truly 3D gaming experiences. 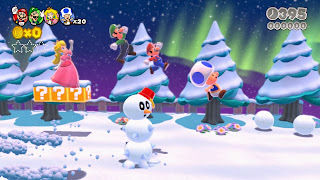 Super Mario 3D World offers ambition in its level design and creativity, the former being of the utmost importance in creating a compelling platformer. It offers ambition in being one of the first truly great multiplayer 3D platformer experiences, having levels so well crafted that they're suitable for solo and cooperative play. The fact of the matter is that Super Mario 3D World selling less than expected in Japan is not a good message for the industry. To me, it says that one of the most recognizable characters in the gaming world with one of the most critically acclaimed games of the year isn't deserving enough to receive sales. What does that say about this industry if that is the attitude of a good chunk of vocal gamers? Does it mean that we don't deserve special games like Super Mario 3D World and should be stuck with being "entertained" by yearly releases of Call of Duty and Assassin's Creed? Nintendo is one of the few publishers who doesn't just market to the 18-35 year-old demographic, and seeing it struggle is disheartening to me. Some of us in our hobby don't want every game to be all guns and/or gore. That's not to say Sony, Microsoft, and others only churn out these types of games. However, Nintendo gives more to those gamers who prefer strong mechanics, interesting gameplay, and a pleasant aesthetic that can be marketed to everyone and not just a small microcosm of the industry. By only making and marketing your games to the 18-25/35 demographic, you leave out a whole slew of potential gamers that would expand the market, regardless of whether they're playing Call of Duty, Wii Sports, or Angry Birds. Then, what is that "disturbing industry trend" I'm alluding to? Well, if it isn't already obvious, The trend I'm referring to is the enjoyment people get out of great games doing poorly in sales because they're so involved with console war politics or have their heads so far up their hind parts, or hate a game for all the wrong reasons. We should be rooting for excellent games to get excellent sales so our industry and hobby thrive and don't rely on annualized series. That is why the reaction to Super Mario 3D World's less than expected sales from certain gamers bums me out so badly. 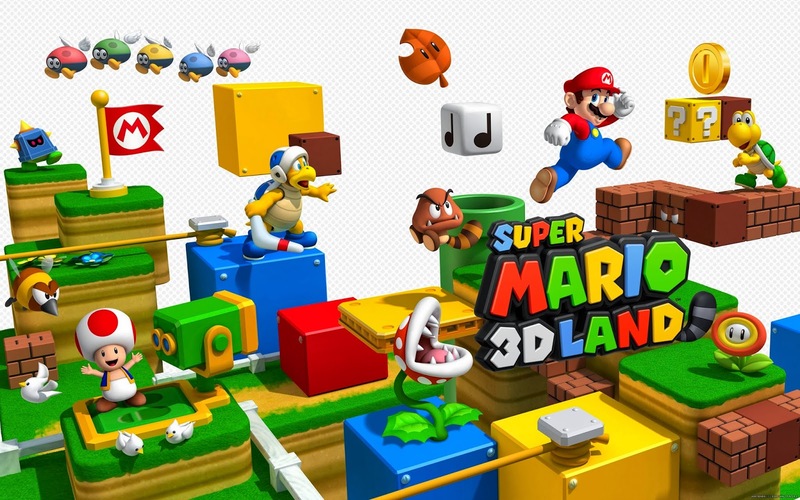 Super Mario 3D World released in North America last Friday, and in Japan the day before. Our friends across the pond will have their chance to pick up the game at the end of the week. Conveniently, that's when we plan on having our full review of the game. Anyway, one of the most important and continuing features of Super Mario games is their terrific soundtracks. It was difficult, but the crew at SuperPhillip Central have put our heads together and ears to our computer speakers to come up with our top ten favorite Super Mario series soundtracks. While we don't imagine you'll agree with our order or even picks (if that is the case, please leave us a comment below), we hope you enjoy this journey through the musical side of the Mushroom Kingdom. 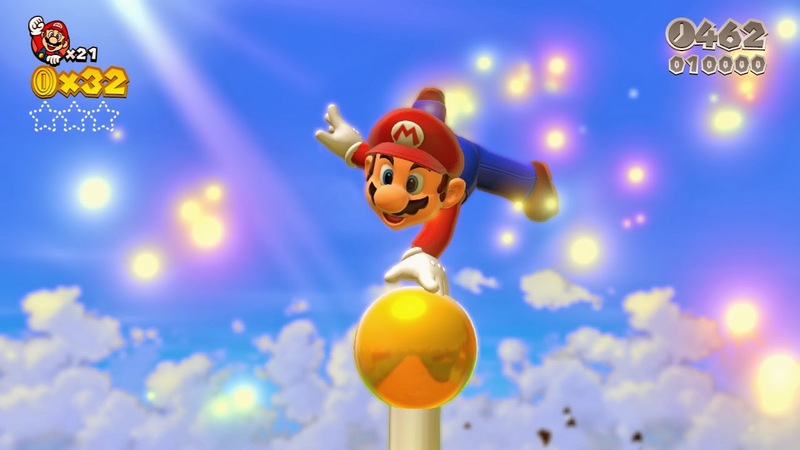 We start our list of favorite Super Mario soundtracks with the game that the latest Mario release is a sequel to-- or at least shares a common level structure. 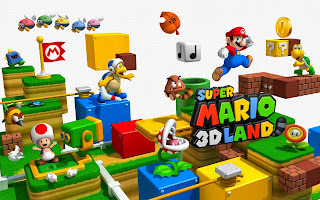 Super Mario 3D Land has a really nice and jazzy main theme, which is played in various outside levels throughout the game. 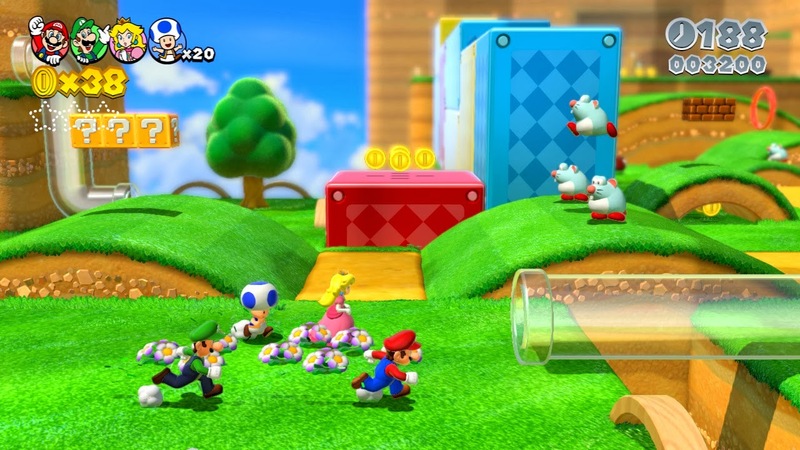 There's multiple variations played during the game as well. Then you have standbys like the requisite underground theme and even Super Mario Bros. 3's athletic theme to enjoy. 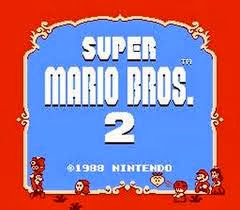 Let's go back in time a long while with the NES' Super Mario Bros. 2. No doubt anyone who frequents this site, in addition to other gaming sites, already knows that the North American version of Super Mario Bros. 2 was a game in Japan called Doki Doki Panic, just with Mario characters attached to it. Regardless, this soundtrack really outdoes its predecessor in nearly every facet. We feel Super Mario Bros. 2's track list eclipses the original Super Mario Bros. due to its catchier themes and increased amount of themes. Seeing as it's near freezing outside the windows of SuperPhillip Central HQ, we wouldn't mind returning to the sun-baked shores of Isle Delfino, drenched in the warm rays of the sun. 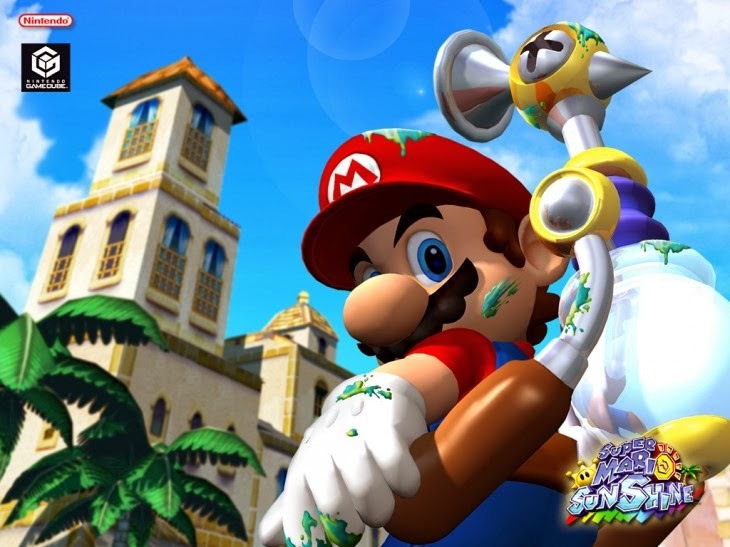 Since we can't do that, at least we can have warm memories while listening to Super Mario Sunshine's soundtrack, made up of a multitude of tropical tunes and a jaunty hub world theme in Delfino Plaza. Mario soundtracks always have a bit of pep to them for the majority of songs, and Super Mario Sunshine is no different. Super Mario Land 2: 6 Golden Coins might be on a system with poor sound quality, but Kazumi Totaka (Animal Crossing, Luigi's Mansion) created some truly amazing and ultra-catchy tunes that linger in our minds to this day. 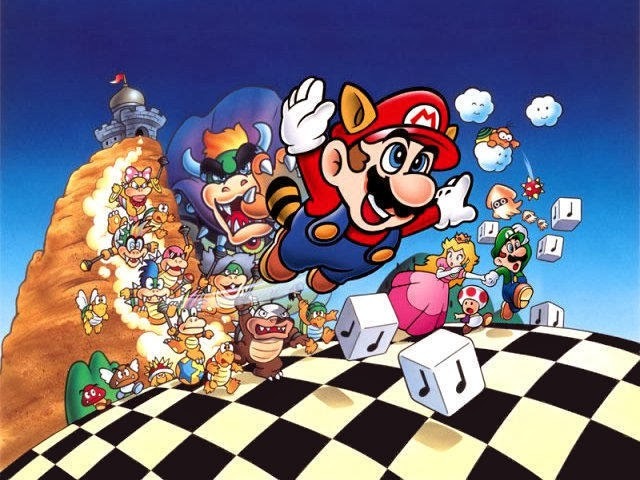 Super Mario Land 2 has one of our favorite athletic themes in any Mario game, an out-of-this-world space tune in Star Maze, and a finale level song that will get the pulses pounding. Super Mario Bros. 3 has always had a wide variety of classic 8-bit tunes that have gone on to be included in every Mario game under the sun. That's for good reason, too. Many of the themes are absolutely amazing, but there's also some nostalgia in there for older gamers like ourselves, too. Super Mario Bros. 3 has the type of soundtrack that delights to this day. It's peppy one level, then dramatic and bold the next. It's a brilliant work by Koji Kondo. 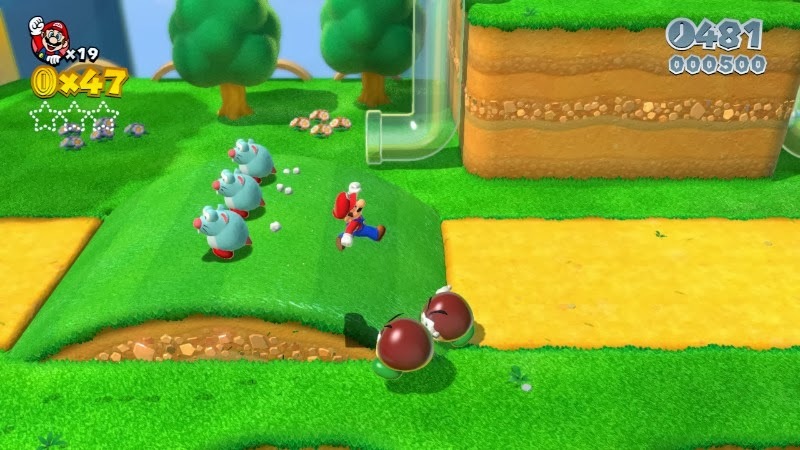 Mario's debut into 3D was revolutionary. 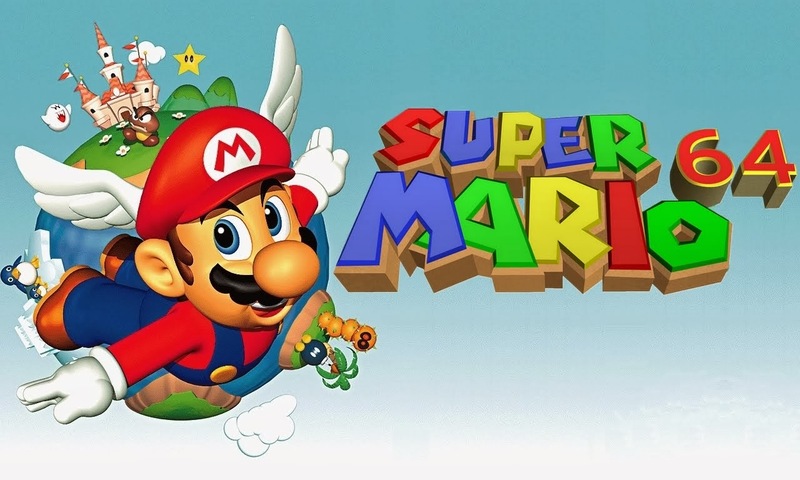 To go along with the epic new worlds of Super Mario 64, the premier launch title for the Nintendo 64, Koji Kondo composed a soundtrack fitting for such a game. Super Mario 64's soundtrack features many themes that would go on to be used in numerous future Mario games, such as Slider, Inside the Castle Walls, and Koopa Road. It contains one of the greatest water level themes in industry history, and it's just all-around a fantastic score that still invokes happy memories and fun times. 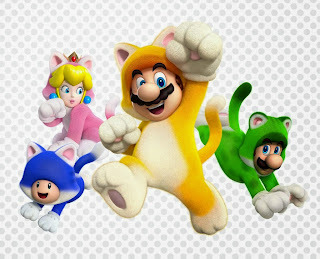 Super Mario World is our favorite 2D Mario. There. We said it. However, it's not our favorite Super Mario soundtrack. 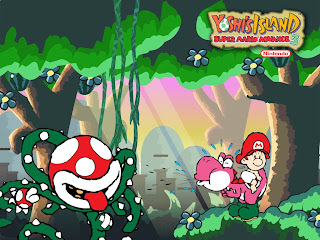 That said, World offers much in the way of pleasurable sounds to go along with Mario and Luigi's journey through Dinosaur Land. 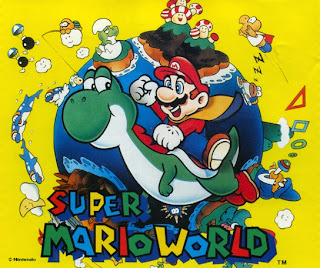 We would have put this game higher up on the list, but so many of the tunes in Super Mario World reuse the same melody, only changing the key, rhythm, tempo, and/or instrumentation to fit the mood of each type of level. Still, it's a lovely main melody, and that's why it's number four on our list! 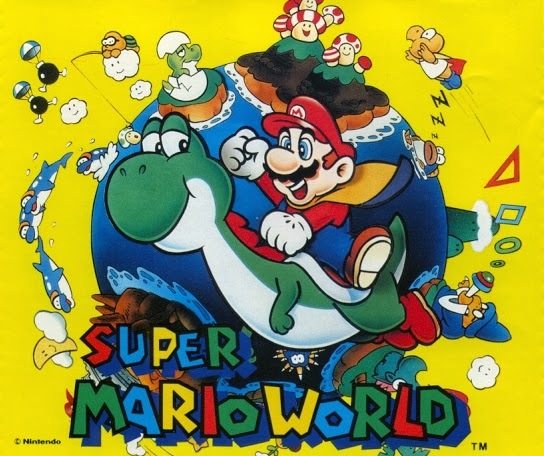 Our favorite classic Super Mario soundtrack comes from Yoshi's Island, a game on the fringe of being called a true Mario game, but we'll allow it on the list regardless. Super Mario World 2: Yoshi's Island comes with a whole healthy heaping of wondrous musical delights. The Athletic theme is charming, the Castle & Fortress theme has a pleasant waltz feel to it, and the underground theme has a certain mysterious quality to it. 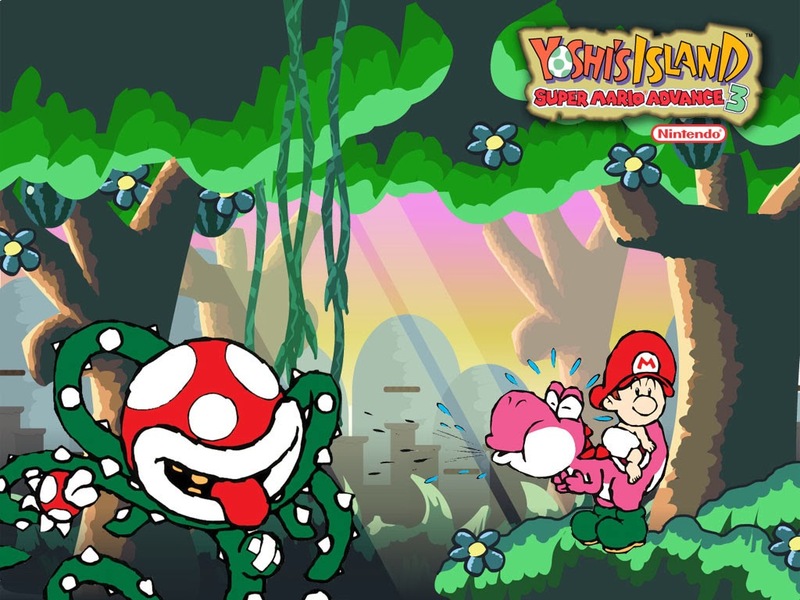 To hear such a sharp decline in composition quality from the SNES Yoshi's Island to the DS sequel... it just rips at the heart to this day. 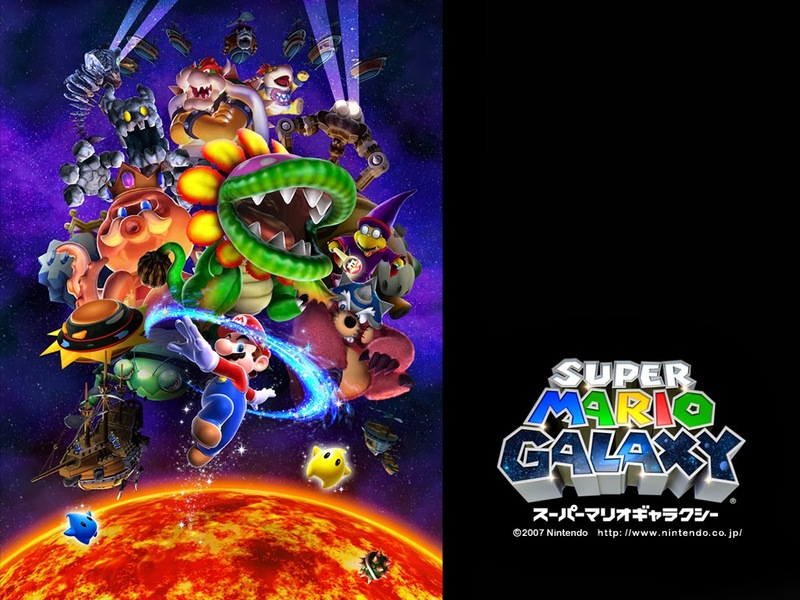 While Mario may not be the video game mascot you think of when you have an orchestra in the mix, when you have Mario in space, it certainly does in this larger than life game. Super Mario Galaxy 2's presentation alone is superb, and what makes this truly great (near perfect) game even greater is the music, composed with a team led by Mahito Yakota and the invaluable Koji Kondo, and performed by the Mario Galaxy Orchestra. Super Mario Galaxy 2's soundtrack features plenty of symphonic versions of classic Mario tunes, such as Super Mario 64's Main Theme, as well as Koopa Road and the Ghost House theme from Super Mario World. Then there's the final boss theme... hold us down! 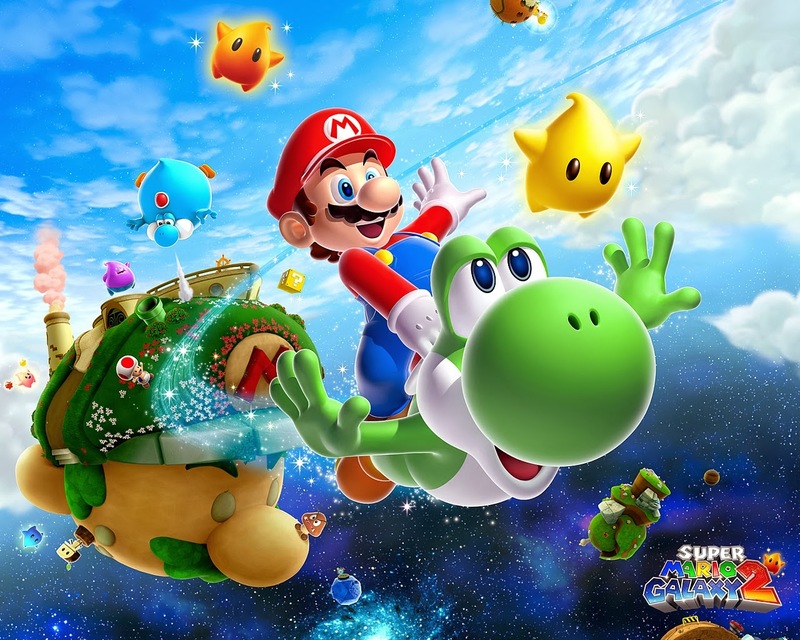 The most sensational Super Mario soundtrack-- at least in our crew's opinion-- comes from the original Super Mario Galaxy. Nothing was quite like it at the time for a Mario game. Real instruments, a full orchestra, and so many sublime melodies and themes... Nothing can touch Wind Garden, Space Junk Galaxy, Waltz of the Boos, in addition to Battlerock Galaxy, The Galaxy Reactor and Bowser's battle theme. There are few soundtracks that meet the majesty and magical heights of Super Mario Galaxy's, making Mario's first space odyssey an easy choice for best Super Mario soundtrack.